Idania poses with her military uniform but also leaves nothing to the imagination in a bikini. MEXICO CITY (Reformation) – This girl knows how to handle the guns perfectly, she is a young Latina belonging to the Navy and her photos ignite the networks. Her name is Idania and she is a brunette who loves her fans who get excited about the photos that she uploads to Instagram, but she also carries guns because she belongs to the United States Navy. The young marina of Latin blood, this American of dark skin and the perfect combination of strength and sensuality, has conquered more than 40 thousand followers only in the aforementioned social network. And it is that the girl delights her followers with images wearing the battle uniform, but also with a bikini or in tailored dresses and so short that they highlight the curves that she has developed in the gym and on the battlefield. 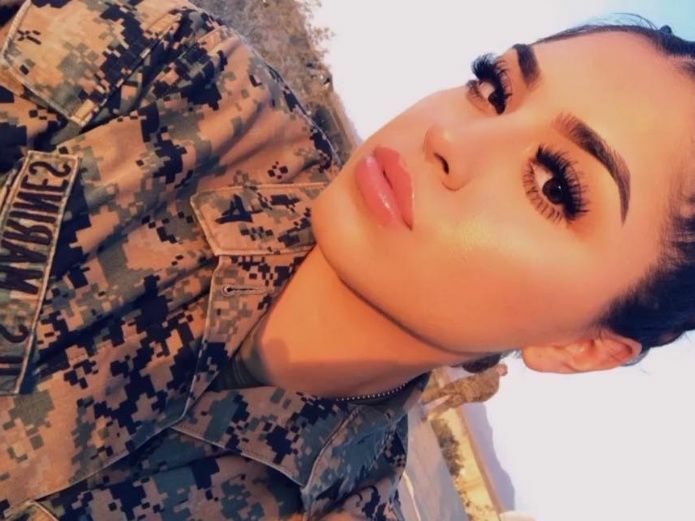 Cassdolll, as she is known on Instagram, receives comments of all kinds, especially from the gentlemen, who admire her for being beautiful, her rudeness and for her courage to belong to the US Navy. But not all are nice comments, although Idania knows how to defend herself and some she answers and puts them in her place. Immediately, the latina answered him. “Nah, BYE,” she posted.